Khlong San Saep or San Saep Canal, located in Central of Thailand, helps to connect the Chao Phraya River to other river in Chachoengsao and Prachinburi province. 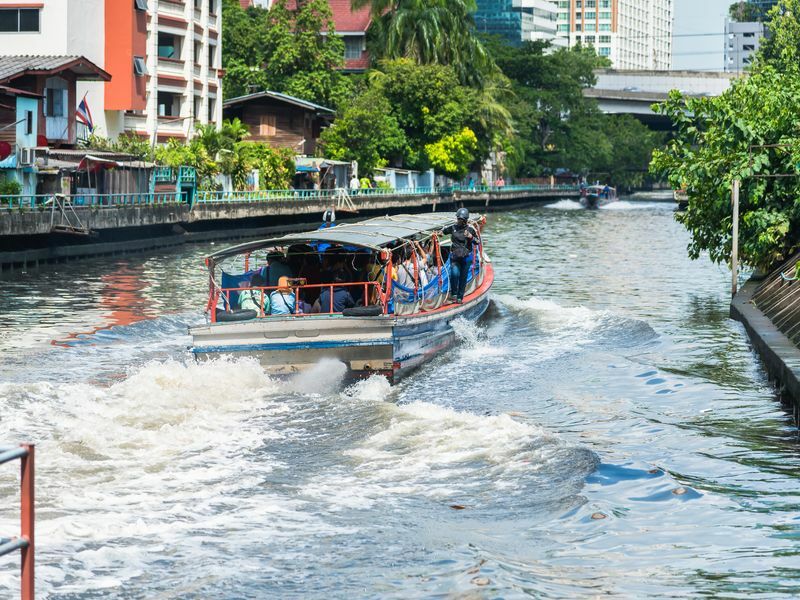 In Bangkok, there is a public transportation express boat service along Khlong San Saep as an alternative way to avoid heavy traffic in the city center. Even though there are over hundred of sub-canal connecting to San Saep Canal, but most of them do not have transportation like their main canal. 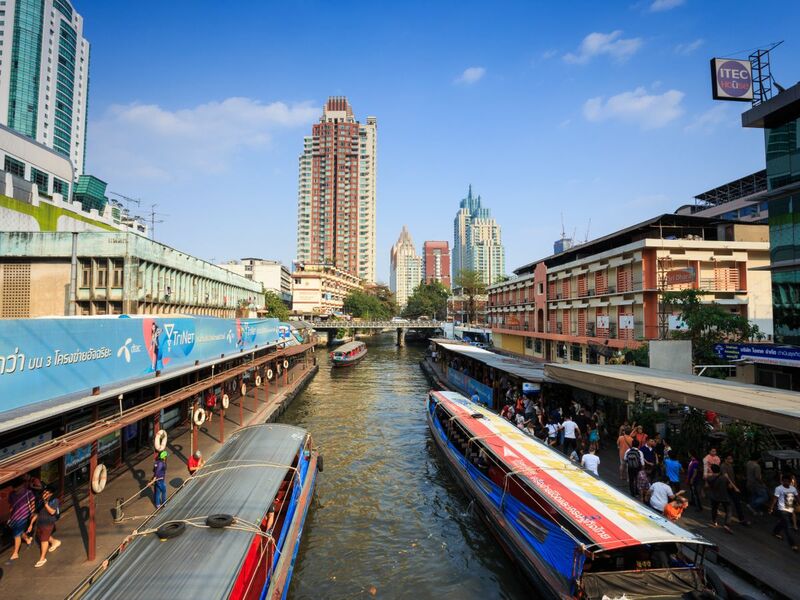 The construction of San Saep Canal took 3 years to finished, since it was built in 1837 in the King Rama III reign. The purpose of building Khlong San Saep was to be a route for water and weapons for Thai soldiers during the war between Siam and Vietnam, known as Annam-Siam War. Then, the King Rama IV or King Mongkut has built Sa Pathum Palace. Its name “Wang Sa Pathum”, means Lotus Pond Palace, was derived from many of lotus plants in Khlong San Saep at that time. Pathum Wan District Name also came from it. Although Khlong San Saep is served as an alternative transportation channel, water quality in Khlong San Saep is not good. Many of garbage and wasted water are released to Khlong San Saep from shops, food stalls, people living by the canals, or even the boat passenger. The government attempts to clean the canal mamy times but water in Klong San Saep is still dirty and have unpleasant smell. Despite its polluted water, Khlong San Saep is one of an interesting boat travelling. During the float along Khlong San Saep, you will see many different kinds of architecture in many neighborhoods. Every area has its own culture and identity, for example, over hundreds years vintage style wooden houses elevated from the ground which extended its balcony into the canal. Locals know San Saep canal as a way to escape the traffic. It's worth noting that you gotta be careful of the water quality and the smell of it. Yet, it is great to observe houses along the canal in its unique and authentic style.